It’s official. 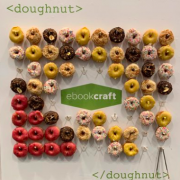 Publishers are getting on with aceessibility. – they are realising that many of the “challenges” are not as daunting as they first thought and with the arrival of EPUB 3 and now the Ace by DAISY EPUB accessibility checking tool, there is every reason to look forward to increased access to mainstream ebooks in the future. This is a good dilemma to have. 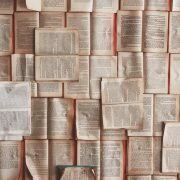 We no longer find ourselves having to advocate heavily for accessible publishing and rather we are now in the preferred position of helping publishers realise that they can do this – that it’s not as difficult as they might have first thought, for the most part. 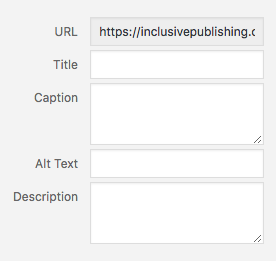 It’s so important for publishers to grasp the reason for image description and alt text, to get to grips with how to tackle them and how to relate them to the context in which they appear. Does an image need a particular style of description based on the expected reading audience? You may need to provide an environmental description of a landscape or perhaps a geographical one…. A geographical description of this image might be: The estuary scenery is a mix of salt marsh and tidal creeks flanked by industrial complexes. 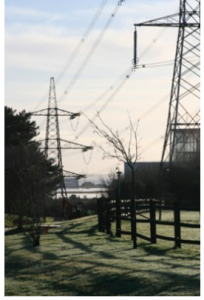 Conversely, an environmental description would be quite different: The large pylon lines tower over woodland and are visible for many miles around. Creating successful image descriptions is truly a skill. Image description can vary greatly depending on the requirement of the given context. Depending on the workflow employed, image descriptions and alt text can be added to a document at various different stages. We naturally advise all content providers to insert any accessibility features as early on as possible – build them in from the very start a bit like you would on a construction site. But this may not be entirely possible and we do appreciate that. Your author is an obvious place to start as they are familiar with their own text in a way that no one else is. They should be able to provide the nuances and contextual information that some rich graphics require. However, they may not be aware of the accessibility requirements behind image description or indeed the technical requirements of this additional content. Some publishers are providing training for their authors so that they can write descriptions that are meaningful and relevant and in some cases the requirement for this is built into their contract in the first place. This may not be practical for everyone and so it may fall to editorial or production staff in-house or even 3rd party vendors with an expertise in this area. The important thing is to formally build this stage in your production process into your workflow so that it just becomes a natural part of your ebook development cycle. Great – so you understand you need to do this and you’ve worked out who is best placed within your organization to take responsibility for it but what exactly do they need to do? Most importantly you need to identify what the images within your content require in terms of accessibility. Not all images require description or alt text – they may be purely decorative and if this is the case then you should make sure they are labelled as such. Screen readers and other forms of assistive technology need to be able to let their readers know what an image’s purpose is and if something is purely decorative then there is nothing more to be done. If your image carries meaning or relevant information then it is vital that you describe this to your reader. Alternative text provides screen reader software users with access to all of the non-text information. Some complex images require longer description. You may be publishing a table full of complex data and in this case a short description in the alt text is a good place to start and then a longer more in-depth analysis / description can be achieved in the long desc box. You may be wondering if Artificial Intelligence could be the answer? On the surface, deploying next generation technologies like artificial intelligence to generate image descriptions makes a lot of sense. Facebook, Google and Microsoft all have solutions in place to analyse an image and recommend an alternative text description of the image. It really is an interesting concept, and as the technology continues to evolve we should get more accurate descriptions of images. We will be covering this topic in more detail in a separate article but suffice to say it is still a way off from being a feasible solution. 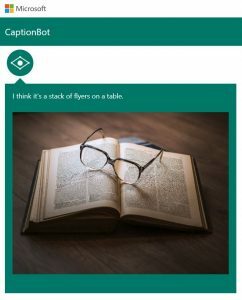 Photo shows Captionbot.ai from Microsoft which has been shown a photo of a pair of glasses resting on an open book, which it believes is a “stack of flyers on a table”. Don’t overthink it! Make your description as short as possible while describing what the photo is trying to convey. You generally don’t have to say “image of”. Screen readers already know that there’s an image and they announce this before reading the image description. It’s ok to mention colour if it’s relevant to the image. Many screen reader users are partially sighted and use descriptions to clarify indistinct images (also people with sight loss do understand the concept of colour). Helpful v unhelpful: It’s important that your description helps to convey the intended message of the image. For example, a tweet shared an upcoming weather forecast with the text: “It’s going to get better soon!” A helpful image description would be: “Forecast showing temperatures of -18 degrees Celsius today improving to -1 degrees by Tuesday”. An unhelpful description would be: “Picture of weather forecast”. Most importantly – give it a go! Success comes with practice and publishers should bite the bullet and get on with it. It’s not that difficult! The Accessible Books Consortium hosts a free 20 minute online training session on Accessible Images – describing what these are exactly and how best to tackle various types of images. Very useful for beginners and handy for in-house awareness training. Alongside this the DIAGRAM Centre also provides a set of comprehensive guidelines, samples and training. Work on these projects is on-going as a11y features and products advance.